I sat on my bed and stared out my bedroom window. The view was inescapable. The ocean, the boats, even at night you could still see their shapes due to the towering, bright Gotham city lights. It made me think about the thought I had pushing away since I moved back here: my parents. Pull yourself together, Brooklyn. You should go take a walk, perhaps where the docks are not visible. I blew the hair out of my face and stood up quickly. I grabbed my blue sweatshirt and slipped it on as I quietly walked out the door. I made my way for 52nd Street and took in the cool autumn air. It was doing me good, my head was finally starting to clear. Suddenly, fifteen minutes after I began my stroll, I heard a gunshot in an alley up ahead, followed by hoarse, angry swearing. The sound of trash cans falling and more gunshots occurred. I stopped dead in my tracks. My palms began to sweat and my stomach churned as my mind was taken back to the night where I was held at gunpoint. I could have died. I was almost dead. I began to blink rapidly and I didn&apos;t recognize where I was. Paranoia overcame me and I was so overwhelmed. I just began to run. I ran and didn&apos;t know or even care which direction I was going. My sprint was stopped by a man grabbing a hold of my shoulder in the alleyway and pulling me into the narrow hall. "Don&apos;t run away from me! Who are you?" he demanded, holding a gun to my head, "Were you spying? Why are you here?" He shook me violently and I couldn&apos;t say anything. My body grew stiff as I stood in a state of shock. It&apos;s happening again. I&apos;m going to die. Somehow in all the dizziness I heard a voice come from the other side of the alley boom over me, "Now, didn&apos;t anyone tell you not to play with guns?" I recognized that voice. It was a voice that brought some stillness to my world spiraling into the darkness. I heard punches being thrown, pain being felt, and the witty comebacks of my savior. I felt the gun fall from the side of my head and an arm being torn off my shoulder. An arm snaked around my waist and flew my dazed self from out of the alley. Suddenly, I was on a rooftop. In front of me was my guardian bird, one of his hands on my shoulder, studying me carefully. He was holding a dark grey gun in his other hand with a hook on the end. I squirmed out of his arms reach and pointed at his gun. I began to scream at the top of my lungs. "Don&apos;t shoot me, please! Please don&apos;t shoot me!" "...what? Brooklyn! I&apos;m not going to shoot you!" I backed up as far as I could. I stuck my arms up in surrender. "Please, I don&apos;t want to die!" I felt my heel hit the edge of the rooftop and felt myself slowly fall backwards. My hands began to reach for the thin air as I fell, but again, the familiar arm went around my waist. 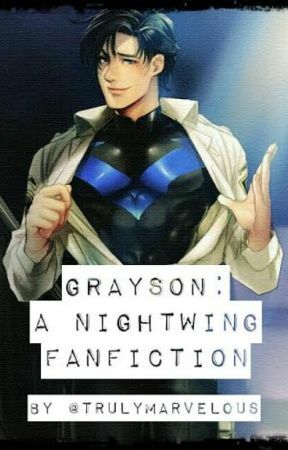 I was pulled back into to reality when I saw Nightwing, holding me tenderly. I looked around eagerly to see where I was. My sweatshirt was drenched in salty tears and I could feel them continue to stream down my face. I looked up at him, scared. "I...I...don&apos;t know what happened. I almost died, I almost died...again..." I mumbled, trying to grasp my emotions. 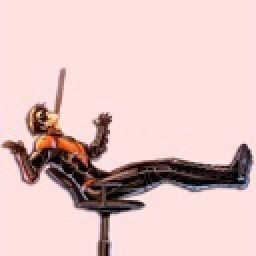 Nightwing sighed as he pulled me in tighter. "It&apos;s okay, Brooklyn. I&apos;ve got you. Everything is okay."